Do my battens comply with BS 5534? Is each batten marked as compliant? Are they at least 38mm x 25mm? Are you using the correct nails? Is the roof likely to face extreme weather? What is the British Standard for battens? BS 5534:2003 states the requirements for roofing battens, and includes information about the species, grades, treatment and required markings. Most organisations, for example NHBC (National House Builders Council) LABC (Local Authority Building Control) and NFRC Co-partnership require fully-compliant battens. NHBC now require that timber used for battens should be indelibly marked to demonstrate compliance with BS 5534. How can I be sure the battens meet BS 5534? Roof battens are not just to provide footholds for roofers, but are an important part of the roof structure itself. They take the loads imposed by slates or tiles as well as loads from snow and wind. 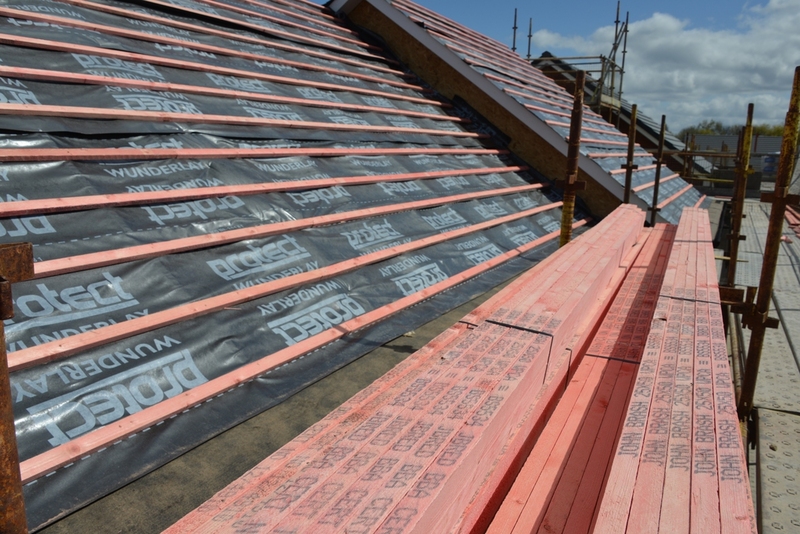 Quality battens are increasingly seen as an important part of forming a secure roof. Although not a legal requirement, BS 5534 sets out the standard for battens. The best way to ensure battens are fit for purpose is to choose those marked as BS 5534-compliant. Always walk on the rafter line when installing the slates and tiles. Avoid walking on the battens between trusses and rafters. DON’T have more than one joint on any four consecutive battens on the same support. DON’T have more than three joints in any 12 consecutive battens on the same support. Ensure battens are a minimum size of 38mm x 25mm. For longer spans than those given here, or for other loading conditions, battens should be designed in accordance with Annex E of BS 5534. Most battens are supplied with an industrially applied treatment process designed to provide a 60-year design life under Use Class 2. The relevant Standard is BS 8417:2011 Preservation of Wood. Cut ends should be treated with brush-applied preservative, especially those in contact with mortar. Why use BS 5534-compliant battens? 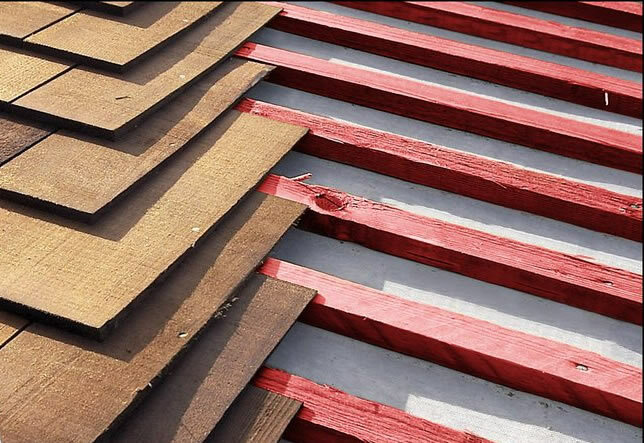 Graded battens are usually graded, with the exception of a final grading for knots and wane. Standard/Ungraded battens may be smaller than those allowed in BS 5534 or have other strength-reducing characteristics. BS 5534:2003+A1:2010. 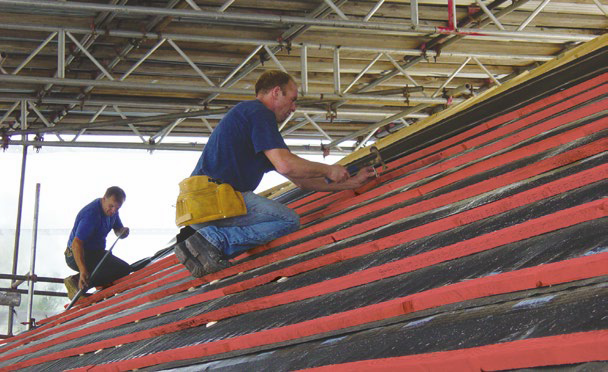 Code of practice for slating and tiling (including shingles), BSI. BS 8000-6:1990 Workmanship on building sites. 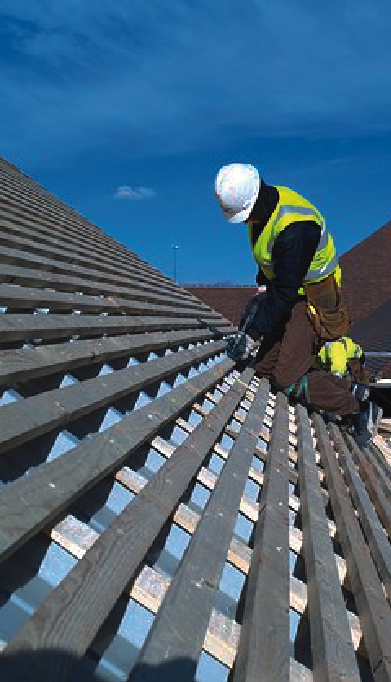 Code of practice for slating and tiling of roofs and claddings, BSI. BS 8417:2011 Preservation of Wood. Code of Practice, BSI. HSE HSG33 Health and safety in roof work. LABC Roofing Battens Guide for Small Builders & Designers. 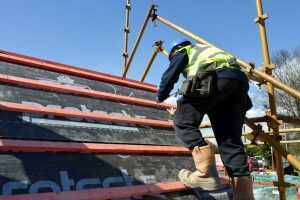 NFRC Technical Bulletin 33 (TB 33) Graded Battens for Slating & Tiling and Health and Safety Guidance Sheet Q Correct Installation and Safe Use of Slating and Tiling Battens. The United Kingdom Accreditation Service (UKAS).